Sixteen APIs have been added to the ProgrammableWeb directory in categories including Internet of Things, Music, Transportation, and Database. One highlight today is the IBM Watson Discovery REST API . Here's a rundown of the latest additions. IBM Watson Discovery provides functionality for searching, crawling, converting, and normalizing data and providing features for discovering patterns in data and insights from data. The IBM Watson Discovery REST API allows developers to build queries for data and retrieving results, add data, manage queries, and integrate with other IBM Watson APIs. The API is listed under the Data category. See ProgrammableWeb's complete list of Data APIs. UserEngage.io provides customer engagement services including live chat and marketing automation. 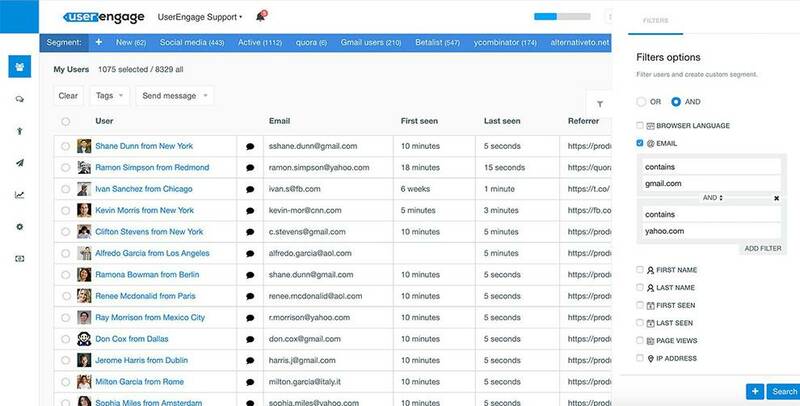 The UserEngage API integrates email engagement features into Web services, including templates, conversations, segments, events, and lists. This API is listed under the Engagement category. See ProgrammableWeb's complete list of Engagement APIs. Nuxeo is an open source ECM (Enterprise Content Management) and DAM (Digital Asset Management) platform. Use the Nuxeo REST API to integrate with the platform, create workflow engines, ESBs, and custom applications. The Nuxeo API is listed under the Content Management category. See ProgrammableWeb's complete list of Content Management APIs. t6 is an IoT platform and API that connects physical objects with time series database. Developers can use the t6 API to install an application and control the data. This API is listed under the Internet of Things category. See ProgrammableWeb's complete list of Internet of Things APIs. The Trade Desk's RTB API allows media partners to construct their own real-time bidders for buying advertising inventory from 40+ supply sources across display, mobile, video, audio, and connected TV. The Trade Desk API is listed under the Advertising category. See ProgrammableWeb's complete list of Advertising APIs. Go2mobi's platform is aimed at performance marketers, trading desks and app developers. Go2mobi API allows advertisers to target users based on location and other mobile-centric data. This API is also listed under the Advertising category. Developers using the Elevation Return API can locate a user's elevation. The data provided comes from the ASTER GDEM dataset, a product of NASA and METI. The service smooths the output data to filter out high inconsistencies or voids. The Elevation Return API is listed under the Geography category. See ProgrammableWeb's complete list of Geography APIs. Coupomated Coupon DataFeed REST API is an automated coupon content distribution platform based in India. It provides coupon website development, price comparison website, & affiliate products from 2000+ Indian merchants. We've categorized this API under Coupons. See ProgrammableWeb's complete list of Coupons APIs. Harvest Media provides software that makes music distribution and aggregation software for music publishers. Create music applications with the Harvest Media API. The API is listed under the Music category. See ProgrammableWeb's complete list of Music APIs. Invoiceninja is an open source invoicing service. The InvoiceNinja API allows developers to integrate invoicing and emailing into Web services, providing clientID, page, and serializer as optional methods. The InvoiceNinja API API is listed under the Invoicing category. See ProgrammableWeb's complete list of Invoicing APIs. Booking.com is a travel accommodations booking service. The Booking.com Content API allows developers to build and maintain multiple listings on Booking.com. The API allows functions for uploading property photos and information about facilities and policies programmatically. With the API, developers may push information for thousands of properties to Booking.com's system in a matter of hours. Access to the API is currently restricted to Booking.com partners. We have listed this API in the Booking category. See ProgrammableWeb's complete list of Booking APIs. Brightwork.io offers developers tools and functionalities for building applications and application microservices. The Brightwork REST API allows functions for deploying applications, managing applications, retrieving photos and albums within an application, and user management. This API is listed under the Microservices category. See ProgrammableWeb's complete list of Microservices APIs. Kinetica is a GPU-accelerated database designed to perform real-time analyses on large and streaming datasets. It can be used to ingest, explore, and visualize streaming data. The Kinetica API allows developers to programmatically access their databases to create tables, add rows, read rows, and delete rows, and includes functions for filtering and visualization. This API is listed under the Database category. See ProgrammableWeb's complete list of Database APIs. The Oracle Service Cloud Knowledge Advanced API provides functionalities for accessing and developing knowledge resources. It allows users to search and make recommendations for articles in addition to accessing user information from external apps. This API allows developers to customize Oracle Service Cloud applications, integrate third-party applications, and integrate Oracle's suites of applications including Siebel and E-Business Suite. This API is listed under the Business category. See ProgrammableWeb's complete list of Business APIs. Trafiklab is an online community that provides APIs for public transport in Sweden. The Trafiklab SL Nearby Stops API enables developers to search for bus stops and stations related to public transport in Stockholm. This API can be used in conjunction with other Trafiklab SL APIs to enable multiple functions, such as trip planning, etc. This is aTransportation API. See ProgrammableWeb's complete list of Transportation APIs.